This plastic and fabric Freddy Krueger glove is super close to the all metal one in look and style! An officially licensed glove of Freddy, the sinister madman who haunts his victims dreams from Nightmare on Elm Street movies. 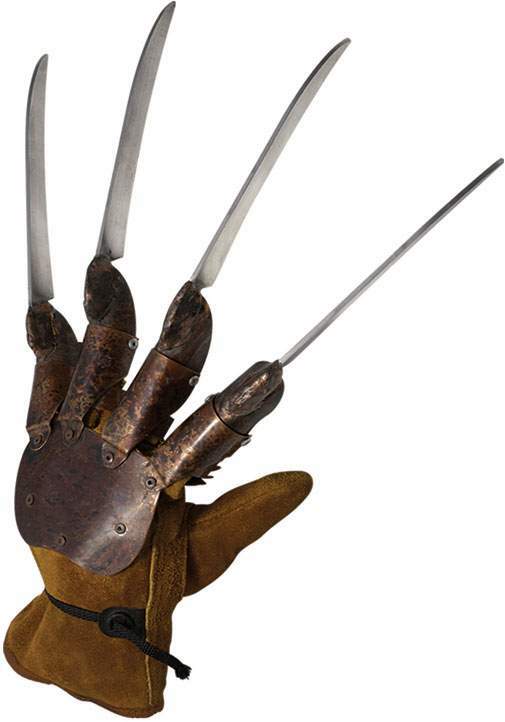 Complete your Freddy Krueger Halloween costume with this great Freddy Glove!